This floor box provides a practical solution for cable storage while maintaining easy access to the internal cables and connector plates. 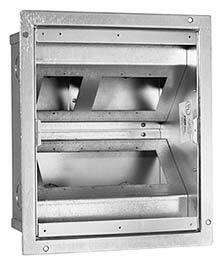 A smaller hinged trap door folds back to create the cable exit. The sturdy drop-in floor lip supports the unit and installs flush with the floor. The plate spacing provides a single, double and a four gang opening.